Super Bowl LIII saw the New England Patriots run out 13-3 winners over the Los Angeles Rams, their sixth title equalling the Pittsburgh Steelers’ all-time Super Bowl record. That’s a big deal, of course, but for many of us Europeans here at Highsnobiety HQ Berlin, this morning’s water cooler talk has focused mainly on the evening’s best ’fits. 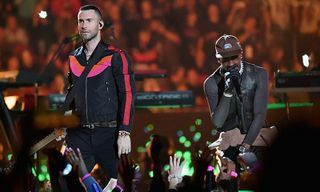 This year, after much clamor, Adam Levine’s Maroon 5 and Travis Scott linked up for the halftime show. 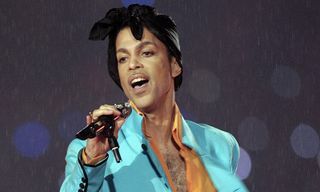 And while neither pulled together truly iconic outfits like Michael Jackson’s 1993 military uniform or Prince’s turquoise suit in 2007, both still gave the sartorial authorities of the internet plenty to ponder. First up, there was Scott, who was snapped backstage by personal photographer RaysCorruptedMind in a customized Cactus Jack varsity jacket and a pair of 1017 ALYX 9SM FW19 leather trousers (which we flagged up last week). 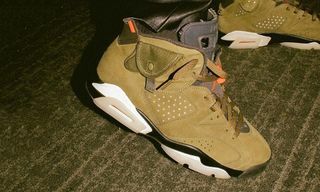 Taking a leaf out of Justin Timberlake’s book — you may recall the “SexyBack” star wore the then-unreleased Air Jordan 3 “JTH” at Super Bowl LII — Scott used his primetime billing to debut what appeared to be a brand new “Cactus Jack” Air Jordan 6. 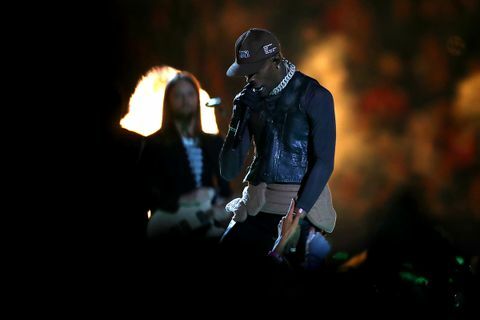 During his performance, Scott wore the same pants combined with a garment dye ALYX x Nike long-sleeve and leather vest. 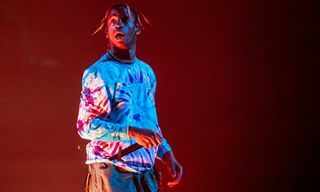 In a very literal homage to his all-conquering track “Sicko Mode,” the Astroworld man rounded off his look with a Virgil Abloh-designed FW19 Louis Vuitton belt. Levine, meanwhile, opted for something a little more straight-up, taking to the stage in a Dries Van Noten zipper. He eventually removed the top to go bare-chested, but it was Levine’s underwear choice that raised streetwear Twitter’s collective eyebrows. Supreme might have jumped the shark from cult-cool skate club to conglomerate-backed unicorn a long time ago, but nonetheless, there was still something slightly jarring about the sight of the — let’s face it, not particularly cool — Levine bounding around in a pair of the brand’s red-banded boxer shorts (our culture is not your uniform etc). 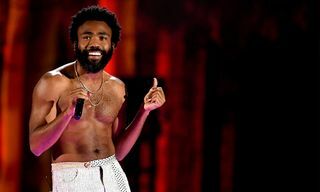 If the singer’s underwear game missed the mark, at least his accessories were on point. As watch observers will have noticed, Levine — a big Rolex collector — appeared to be wearing a stunning Rolex Rainbow Daytona, which is one of the rarest watches on the planet. Last but not least there was Big Boi. 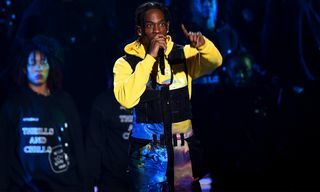 The Outkast star turned up in his home city wearing “Oregon” Air Jordan 3s and a vulgar fur coat that drew the ire of animal rights organization PETA, among others. 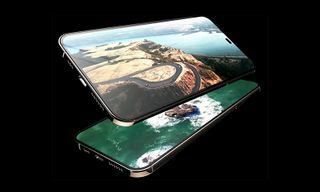 In 2019, is such a display really necessary? 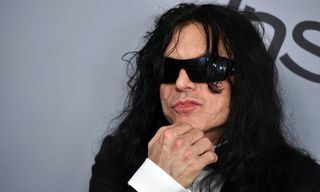 What did you think of the Super Bowl style? Leave us your comments below.